Good parenting often involves ignoring what's popular and going with what's right. This is certainly the case when choosing a preschool for your child. There are so many enticing options, claiming to give your child the head-start that launches her into a promising future filled with advanced placement classes, college scholarships, and job offers from NASA and MIT. In the competitive preschool market, owners are now touting an early childhood education that includes STEM (science, technology, math, and science), Spanish, French, and Chinese immersion, music lessons in piano and violin, yoga, art history, and sculpture. But early childhood scholars caution parents about the dangers of this escalated curriculum and advise them to choose what's proven to work. A learn by doing approach in early childhood education is key because it emphasizes socializing, playing, creating, experimenting, and exploring. When starting my job as a nervous rookie at an elite private preschool, I looked for guidance from the seasoned early childhood educators on staff. However, as we sat together at a faculty meeting before the school year began, I mentioned that Developmentally Appropriate Practices (DAP) guided my instruction. I explained that my two children had attended a parent-cooperative preschool that strictly adhered to the guidelines set forth by the National Association for the Education of Young Children: learn by doing, hands-on discovery, open-ended art, and lots of time to play, socialize, and make choices. Instead of seeing heads shaking enthusiastically in agreement, I saw a wall of faces staring blankly at me. It was as if I were speaking about nuclear physics—in Mandarin! 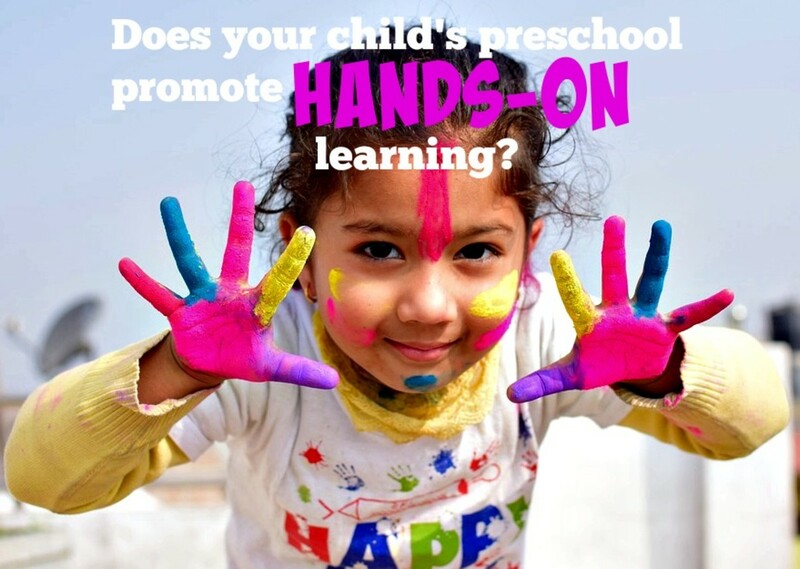 Question #1: Does Your Preschool Follow Developmentally Appropriate Practices? When checking out potential preschools, parents should ask: "Do you support Developmentally Appropriate Practices? Do you follow the guidelines set forth by the National Association for the Education of Young Children?" Developmentally Appropriate Practices (DAP) describe an educational approach that's based on the latest research into how young children best learn and develop. At its core is the belief that teachers should meet children where they're at developmentally and not overload them with content and experiences they're unable to handle. The DAP teacher understands the stages of early development and appreciates differences among youngsters. She acts as a facilitator in the classroom—letting children explore with new materials, asking questions that challenge them to think deeply, and giving them a variety of hands-on experiences. When choosing what to present, she always asks: “Is it developmentally appropriate?” The DAP approach is best summed up by Ben Franklin's quote: “Show me and I forget; Teach me and I remember; Involve me and I learn.” If the owner is unaware of Developmentally Appropriate Practices and their importance in early childhood education, hightail it out of there! Question #2: Does Your School Have an Escalated Curriculum? Unfortunately, many preschool owners stray from DAP's research-based approach, caving into demands from anxious parents clamoring for accelerated academics. Parents worry that their neighbor's four-year-old can speak Spanish and write complete sentences while their kid just plays in a sandbox and builds with blocks. Preschool owners feel pressured to adopt an escalated curriculum even though there's no evidence supporting it. 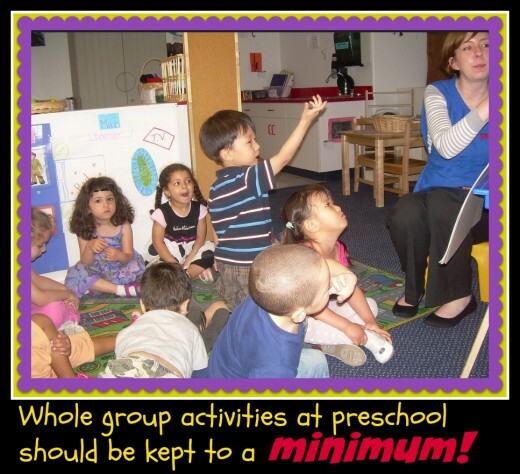 An escalated curriculum guided our instruction at the preschool where I taught. It's based on the widespread belief that teachers can present any content at any age as long as they do so in the right way. It has become common as preschool teachers adapt the elementary school curriculum to use with their young learners. At the preschool where I taught, the owner selected a school-wide theme for each month . Sometimes she chose developmentally appropriate themes, ones that tapped into the children's profound curiosity in themselves and their immediate surroundings. They included: My Body, My Family, My House, My Neighborhood. These themes were successful because they were meaningful in the children's lives. Since young children are egocentric, they love themes that focus on themselves. They have recently moved on from parallel play and are just beginning to interact with peers, build friendships, and share. Other times, however, the owner forced themes upon us—both teachers and children—that were not developmentally appropriate. These escalated themes included: Planets and Outer Space, Countries Around the World, and Famous Artists. These themes caused great frustration because young children are not yet ready to move beyond their immediate world to look at places and people who live far away. Why did the owner pick such unsuitable themes? She did so to impress parents and keep them satisfied, selling them a bill of goods that their children were on the fast track to academic excellence. This is sad and unnecessary as young children have plenty of years ahead of them to learn about different people, places, and cultures. There's no need to rush. Knowing the inappropriateness of an escalated curriculum for my students, I gradually added DAP without the owner realizing or objecting. Unlike other teachers who did long Circle Times—taking center stage to present information and read books to a passive audience—I got my students involved in every aspect of their learning. Just like a mom sneaking vegetables into her child's meals, I stealthily added DAP such as: 1) learning and exploring in small groups, not whole group 2) empowering students by giving them choices 3) providing open-ended art, not craft projects. Question #3: What Is Your Position on Circle Time? I often saw colleagues holding students captive, conducting ridiculously long whole group activities during Circle Time. It became clear to me that the teacher got more out of the experience than her glassy-eyed students who sat quietly and passively while she had all the fun. With DAP, whole group instruction is kept to a minimum and the teacher is rarely center stage. Children learn and explore in small groups with the teacher's guidance. The children are active participants. The small group experience encourages social interaction, team work, curiosity, and discovery. Circle Time is popular in early childhood education, but it's largely a waste of time. Research shows kids learn more with small group activities, kinesthetic learning, and hands-on exploration. Question #4: Do The Children Have Opportunities to Choose Their Own Activities Throughout the Day? DAP embrace opportunities for students make their own choices about what to do and with whom. Students are not required to stay on course each minute of the day. Making choices empowers them. They decide whether they wish to do solitary activities such as stringing beads, drawing a picture, doing a puzzle, or reading a book. They may decide to pursue social activities with a group of buddies such as building with blocks, cooking in the kitchen, or playing a game. Making choices promotes independence, builds confidence, and increases well-being. Many introverted children thrive when given chances to be alone—to work intensely on a project, to have peace and quiet, and to recharge their batteries that are drained by social interaction. During this period of choice, the teacher walks around the classroom and asks the all-important DAP question: How? How will you build your tower higher without it falling? How will you make green with those paints? How will you continue that pattern? How will you play that game and give everybody a turn? Question #5: What Is Your School's Philosophy on Teaching Art? DAP art is about the process, not the product. It's about children exploring new materials and discovering new techniques. Art is a relaxing and joyful experience meant to soothe the soul, relieve stress, promote independence, and encourage creativity. Children make sense of their world through art and the art is entirely their own. Parenting a child is a long process that requires much patience. Moms and dads who acknowledge and celebrate each stage of development will enjoy their children more and not become tempted by an escalated curriculum. By doing a little research, parents will discover that best practices in early childhood education don't involve becoming bilingual, learning how to play the violin, or painting like Picasso. 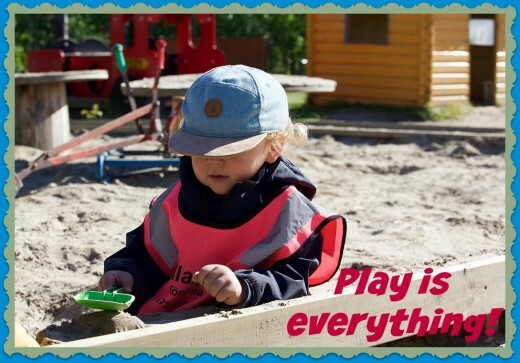 Learn by doing in early childhood education is best because youngsters become engaged with hands-on discovery, open-play periods, and small group activities. As a former preschool and kindergarten teacher, I highly recommend this book to parents who are searching for a preschool. The author is a huge advocate for young children, championing their right to play, explore, and learn by doing. She point out the pitfalls of “too much, too early” as preschoolers are now expected to learn math, second languages, handwriting, and pre-reading skills. Parents today, who are so anxious about their kids getting ahead, really need to read this book, take a step back, and think about what's best for their little ones. 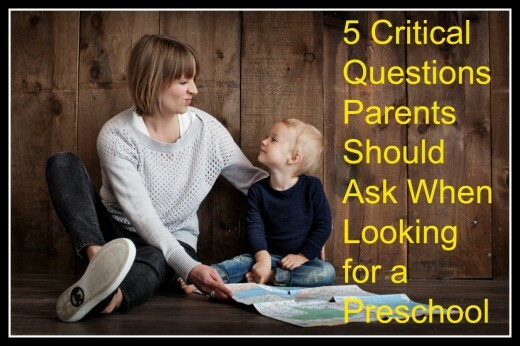 What should be most important to parents as they choose a preschool? 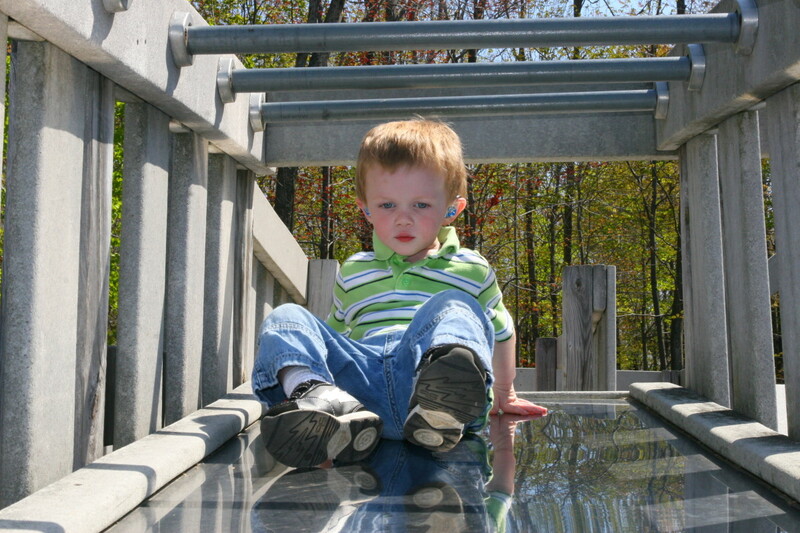 My 4-year-old grandson is placed in time-out at preschool almost every day. When I pick him up, the teacher tells me he's not listening during calendar activities and is poking his friend. His parents get very worried about his behavior, but I think it's no big deal. What should I do? When I began teaching 25 years ago, it was unheard of for a youngster to be placed in time-out at preschool or kindergarten. In fact, I don't even remember that term being used when I earned my credential and did my student teaching. In college classes, our professors drilled in us the importance of “developmentally appropriate practices,” meaning that young children learned best when moving, doing, exploring, talking, interacting, and discovering through their senses. If there was a behavior issue, we were taught to re-direct the youngsters to another activity. If kids were getting frustrated with one another while playing blocks, for example, we'd say, “it's time to go outside and ride tricycles!” We'd never think to put preschoolers in time-out where they would feel shame and not understand why they were being reprimanded. That would be considered cruel. Now, when I visit various preschools throughout the year, it's rare when I don't see a child in time-out (almost always a boy and more often than not one of color). They're typically removed from the group for some “horrific” offense like being unable to sit still for a long and boring circle time, not being able to remain silent while the teacher drones on about the calendar and weather, or itching to play with their buddies in the sandbox rather than hearing the teacher read yet another story. The normal behaviors of 4 and 5-year-old children are now seen in our society as disruptive, naughty, and cause for great alarm. While most countries celebrate each stage of a child's development and see no need to rush it, we in the United States want kids to grew up too fast. 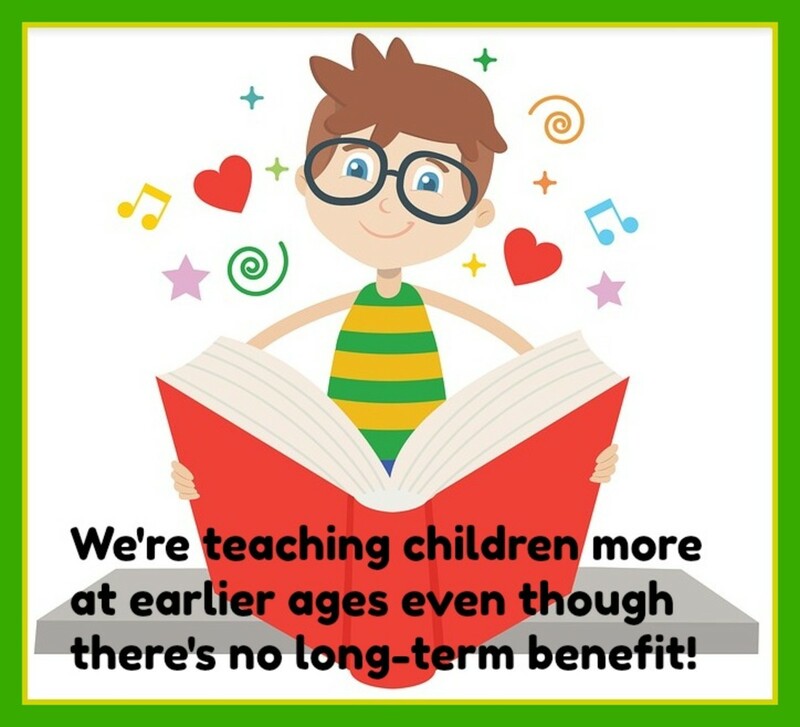 In the past 25 years, I've seen a huge decrease in play time at preschool and kindergarten as we push little kids to learn more and more at younger and younger ages. There are more teacher-directed lessons, longer circle times, more paper-pencil tasks, and more rote learning. Preschool is no longer that joyful time to make friends and to develop a love of learning but a means to prepare kids for kindergarten. Most likely, your grandson is the victim of that misguided mentality, and that's why he sits in time-out. I 'd be concerned that your grandson is getting the message that something is wrong with him when there isn't. The children I see placed in time-out at preschool and kindergarten are typically the brightest ones: curious, independent, and energetic. They get bored easily when the teacher does her spiel, wanting to get up and explore the stimulating environment around them, not just sit and listen. 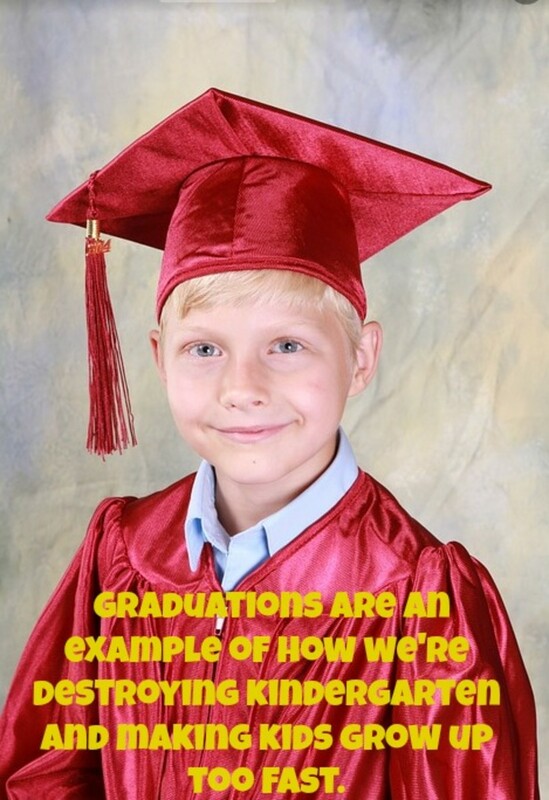 Your grandson's parents, like so many moms and dads these days, are naively impressed with the early academics now presented in preschool and kindergarten. They see it as a good thing, believing it will give their kids a competitive edge. They're not familiar with the research (Dr. Peter Gray, Dr. Nancy Carlsson-Paige, and the organization, “Defending the Early Years”) that shows the decline of play over the past 50-60 years corresponds to the increasing number of mental health issues in children and teens: depression, anxiety, narcissism, and suicide. I recommend your grandson switch to a play-based preschool that adheres to developmentally appropriate practices. I'm sick and tired of parents getting the message from preschool teachers that there is something wrong with their children when there absolutely isn't. Unfortunately, preschool teachers are under enormous pressure now to get kids ready for kindergarten: writing their names, knowing their letters and sounds, counting to 100. They're not looking at the bigger picture: getting little children excited about learning and building the belief that learning stems from their own curiosity, not from a teacher. This is a totally amazing article, Nancy! I am learning so much from all you have written. Thank You. I was thinking about taking twenty four units of child development classes and I never heard of DAP. I will look in to this program.